It’s been a bit over three weeks since I had my first meeting in Quebec City, during which I met the surgeon who would hopefully be implanting the miraculous electronic device into my head that would allow me to hear again. Step two occurred this week. 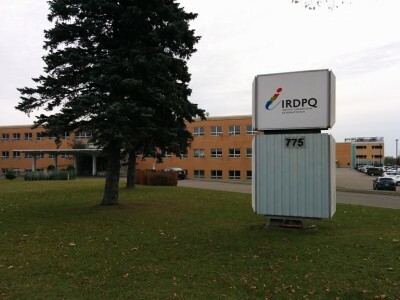 Again, my parents and I set out for Quebec City at 5 a.m. and arrived a bit before my 10 a.m. appointment at the Institut de réadaptation en déficience physique de Québec (IRDPQ), a centre which provides adaption, rehabilitation and social services to the hard-of-hearing and visually impaired community. I was to have two appointments there that morning; first with an audiologist, who would test my hearing, and then with a psychologist, who would evaluate whether I am ready to face the difficulties to come. After checking in, my parents and I sat in the centre’s lobby and waited for the audiologist to come and get me. There were a few people also waiting for appointments, including a five-year old girl who had just gotten her second cochlear implant. Her mother told us that they only discovered that she couldn’t hear when she was three years old. She did well during her first therapy sessions and was coming in for her second round. She could even talk when her mom asked her questions. Maryse, the audiologist who would be working with me came out to get me shortly after. She took me the testing booth, a soundproof room equipped with everything needed to test hearing. An audiologist specializes in testing and diagnosing auditory disorders, among a few other things. From there, they recommend the best solutions, from hearing protection methods, to hearing aids, to surgeries like cochlear implants. 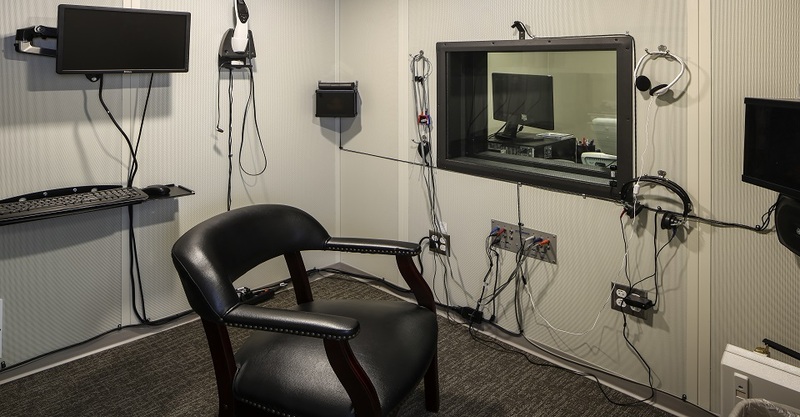 A hearing testing booth, used for audiology tests. A hearing testing booth is divided into two compartments. One is for the audiologist to conduct the tests from. It is equipped with a computer and an audiometer, which is a machine that is used to measure hearing loss. A window separates this part of the booth with the one the patient (me) goes into. This one is equipped with different types of headphones and speakers that would be used to test my hearing. Maryse put a headphones on me, closed the door, and went into the other compartment. She handed me a clicker and told me to press the button whenever I heard a sound, even if the sound is really small. From the other side of the window, she turned a microphone on and asked me if I could hear her. I did. She then used the audiogram to send beeping sounds of all sorts of frequencies to my ear. I clicked the button whenever I could hear a sound. After about 10 minutes of going through every sound range possible, she told me that there were sounds I could hear this time that I didn’t hear during my last hearing test in August and that my hearing got a little bit better after fully healing from the surgery. Computer: The boy ran after the dog. Me: The boy ran after the dog!! Computer: The girl was playing with the ball. Computer: The policemen went into the car. Me: …something went into a car? Computer: Bzerrr blub rrr rtoo e at. Me: *shrugs* something a cat? You get the idea. I was able to understand some sentences, but others were completely incomprehensible. I failed the test with a score of 20%, and that was exactly the goal – to pass this hearing test, you had to fail it! Then, she wanted to do some tests outside of the booth, with familiar and unfamiliar voices. We went into another room and she asked me to wear my old hearing aid, which wasn’t even adjusted properly. She motioned for my parents to join us. She then made my dad sit next to me and read some short sentences, while placing a sheet in front of his face so that I cannot lipread. It was still hard, but because of the proximity, I understood a bit better than in the sound booth. Maryse then tested me with her voice, and this time, rather than read sentences, she read out two-syllable words, then a bunch of nightmarish one-syllable words. This made it even harder. I did better on this test, but I still failed with a score of 30%. She finished the evaluation by asking me what I was able to hear before, how I was with phones and TVs, how much I could hear in different kinds of environments. Truthfully, I had no problem hearing anything, except in very noisy environments. I spoke on the phone often, watched TV without subtitles, and listened to all kinds of music. Looking through my records, she told me that she thinks this surgery would help me a lot. She said she would have prefered if I had a well-adjusted hearing aid, but it wouldn’t have made a miracle of a difference. Since losing my hearing has made my ear more sensitive, I am unable to keep a hearing aid in for long. It causes the temporary deafness that sent me into sheer panic right after the first surgery, which I describe in my first post. Following that, Geneviève, the centre’s psychologist came to get me. Her goal was to talk to me and my parents and determine whether my I am ready for this demanding surgery. She asked me a lot of questions, like what have I heard about this type of surgery, whether I read a lot about it, and what my expectations are. She talked to my parents about the amount of time I’ll need to spend in programming, therapy and rehab after and asked if they are ok with relocating to Quebec City with me for some of them. She wanted to know what I spent my free time doing (too much!) and how losing my hearing affected that. She understood that it too much of a drastic change. She took notes down and put everything in my file. It was now complete with almost everything they needed to make a decision. Next: An MRI scan to complete step 2.